Nowadays, buffer-gas cooling represents an invaluable option to produce cold stable molecules, both in view of secondary cooling/trapping strategies towards the achievement of quantum degeneracy and for fundamental studies of complex molecules. From this follows a demand to establish a pool of specialized, increasingly precise spectroscopic interrogation techniques. Here, we demonstrate a general approach to Lamb-dip ro-vibrational spectroscopy of buffer-gas-cooled molecules. The saturation intensity of the selected molecular transition is achieved by coupling the probe laser to a high-finesse optical cavity surrounding the cold sample. A cavity ring-down technique is then implemented to perform saturation sub-Doppler measurements as the buffer (He) and molecular gas flux are varied. As an example, the (ν1+ν3) R(1) ro-vibrational line in a 20 Kelvin acetylene sample is addressed. By referencing the probe laser to a Rb/GPS clock, the corresponding line-center frequency as well as the self and foreign (i.e., due to the buffer gas) collisional broadening coefficients are absolutely determined. Our approach represents an important step towards the development of a novel method to perform ultra-precise ro-vibrational spectroscopy on an extremely wide range of cold molecules. In this respect, we finally discuss a number of relevant upgrades underway in the experimental setup to considerably improve the ultimate spectroscopic performance. M. S. Safronova, D. Budker, D. DeMille, D. F. Jackson Kimball, A. Derevianko, and C. W. Clark, “Search for new physics with atoms and molecules,” Rev. Mod. Phys. 90, 025008 (2018). A. D. Ludlow, M. M. Boyd, J. Ye, E. Peik, and P. O. Schmidt, “Optical atomic clocks,” Rev. Modern Phys. 87, 637–701 (2015). T. E. Wall, “Preparation of cold molecules for high-precision measurements,” J. Phys. B 49, 243001 (2016). R. K. Altmann, S. Galtier, L. S. Dreissen, and K. S. E. Eikema, “High-precision Ramsey-comb spectroscopy at deep ultraviolet wavelengths,” Phys. Rev. Lett. 117, 173201 (2016). F. M. J. Cozijn, P. Dupre, E. J. Salumbides, K. S. E. Eikema, and W. Ubachs, “Sub-Doppler frequency metrology in HD for test of fundamental physics,” Phys. Rev. Lett. 120, 153002 (2018). S. Alighanbari, M. G. Hansen, V. I. Koroborov, and S. Schiller, “Rotational spectroscopy of cold and trapped molecular ions in the Lamb-Dicke regime,” Nat. Phys. 14, 555–559 (2018). L. Santamaria, C. Braggio, G. Carugno, V. Di Sarno, P. Maddaloni, and G. Ruoso, “Axion dark matter detection by laser spectroscopy of ultracold molecular oxygen: a proposal,” New J. Phys. 17, 113025 (2015). C. Braggio, G. Carugno, F. Chiossi, A. Di Lieto, M. Guarise, P. Maddaloni, A. Ortolan, G. Ruoso, L. Santamaria, J. Tasseva, and M. Tonelli, “Axion dark matter detection by laser induced fluorescence in rare-earth doped materials,” Sci. Rep. 7, 15168 (2017). A. Shelkovnikov, R. J. Butcher, C. Chardonnet, and A. Amy-Klein, “Stability of the proton-to-electron mass ratio,” Phys. Rev. Lett. 100, 150801 (2008). L. Santamaria, V. Di Sarno, I. Ricciardi, S. Mosca, M. De Rosa, G. Santambrogio, P. Maddaloni, and P. De Natale, “Assessing the time constancy of the proton-to-electron mass ratio by precision ro-vibrational spectroscopy of a cold molecular beam,” J. Mol. Spectrosc. 300, 116–123 (2015). J. Baron, W. C. Campbell, D. DeMille, J. M. Doyle, G. Gabrielse, Y. V. Gurevich, P. W. Hess, N. R. Hutzler, E. Kirilov, I. Kozyryev, B. R. O’Leary, C. D. Panda, M. F. Parsons, E. S. Petrik, B. Spaun, A. C. Vutha, and A. D. West, “Order of magnitude smaller limit on the electric dipole moment of the electron,” Science 343, 269–272 (2013). L. Anderegg, B. L. Augenbraun, Y. Bao, S. Burchesky, L. W. Cheuk, W. Ketterle, and J. M. Doyle, “Laser cooling of optically trapped molecules,” Nat. Phys. 14, 890–893 (2018). H. J. Williams, L. Caldwell, N. J. Fitch, S. Truppe, J. Rodewald, E. A. Hinds, B. E. Sauer, and M. R. Tarbutt, “Magnetic trapping and coherent control of laser-cooled molecules,” Phys. Rev. Lett. 120, 163201 (2018). J. D. Weinstein, R. deCarvalho, K. Amar, A. Boca, B. C. Odom, B. Friedrich, and J. M. Doyle, “Spectroscopy of buffer-gas cooled vanadium monoxide in a magnetic trapping field,” J. Chem. Phys. 109, 2656–2661 (1998). S. E. Maxwell, N. Brahms, R. deCarvalho, D. R. Glenn, J. S. Helton, S. V. Nguyen, D. Patterson, J. Petricka, D. DeMille, and J. M. Doyle, “High-flux beam source for cold, slow atoms or molecules,” Phys. Rev. Lett. 95, 173201 (2005). J. K. Messer and F. C. De Lucia, “Measurement of pressure-broadening parameters for the CO-He system at 4 K,” Phys. Rev. Lett. 53, 2555–2558 (1984). S. M. Skoff, R. J. Hendricks, C. D. J. Sinclair, M. R. Tarbutt, J. J. Hudson, D. M. Segal, B. E. Sauer, and E. A. Hinds, “Doppler-free laser spectroscopy of buffer-gas-cooled molecular radicals,” New J. Phys. 11, 123026 (2009). D. Patterson and J. M. Doyle, “Cooling molecules in a cell for FTMW spectroscopy,” Mol. Phys. 110, 1757–1766 (2012). L. Santamaria, V. Di Sarno, P. De Natale, M. De Rosa, M. Inguscio, S. Mosca, I. Ricciardi, D. Calonico, F. Levi, and P. Maddaloni, “Comb-assisted cavity ring-down spectroscopy of a buffer-gas-cooled molecular beam,” Phys. Chem. Chem. Phys. 18, 16715–16720 (2016). B. Spaun, P. Bryan Changala, D. Patterson, B. J. Bjork, O. H. Heckl, J. M. Doyle, and J. Ye, “Continuous probing of cold complex molecules with infrared frequency comb spectroscopy,” Nature 533, 517–520 (2016). S. K. Tokunaga, R. J. Hendricks, M. R. Tarbut, and B. Darquié, “High-resolution mid-infrared spectroscopy of buffer-gas-cooled methyltrioxorhenium molecules,” New J. Phys. 19, 053006 (2017). G. Z. Iwata, R. L. McNally, and T. Zelevinsky, “High-resolution optical spectroscopy with a buffer-gas-cooled beam of BaH molecules,” Phys. Rev. A 96, 022509 (2017). P. B. Changala, M. L. Weichman, K. F. Lee, M. E. Fermann, and J. Ye, “Rovibrational quantum state resolution of the C60 fullerene,” Science 363, 49–54 (2019). O. Asvany, K. Yamada, S. Brünken, A. Potapov, and S. Schlemmer, “Experimental ground-state combination differences of CH5+,” Science 347, 1346–1349 (2015). S. Lee, D. Hauser, O. Lakhmanskaya, S. Spieler, E. Endres, K. Geistlinger, S. Kumar, and R. Wester, “Terahertz-visible two-photon rotational spectroscopy of cold OD-,” Phys. Rev. A 93, 032513 (2016). G. Scoles, D. Bassi, U. Buck, and D. C. Laine, eds., Atomic and Molecular Beam Methods (Oxford University, 1988), Vol. 1. G. Scoles, D. C. Laine, and U. Valbusa, eds., Atomic and Molecular Beam Methods (Oxford University, 1992), Vol. 2. W. Demtröder, Laser Spectroscopy, Experimental Techniques (Springer, 2008), Vol. 2. D. Lisak and J. T. Hodges, “High-resolution cavity ring-down spectroscopy measurements of blended H2O transitions,” Appl. Phys. B 88, 317–325 (2007). G. Giusfredi, S. Bartalini, S. Borri, P. Cancio, I. Galli, D. Mazzotti, and P. De Natale, “Saturated-absorption cavity ring-down spectroscopy,” Phys. Rev. Lett. 104, 110801 (2010). J. Burkart, T. Sala, D. Romanini, M. Marangoni, A. Campargue, and S. Kassi, “Communication: Saturated CO2 absorption near 1.6 μm for kilohertz-accuracy transition frequencies,” J. Chem. Phys. 142, 191103(2015). I. Sadiek and G. Friedrichs, “Saturation dynamics and working limits of saturated absorption cavity ringdown spectroscopy,” Phys. Chem. Chem. Phys. 18, 22978–22989 (2016). M. de Labachelerie, K. Nakagawa, Y. Awaji, and M. Ohtsu, “High-frequency-stability laser at 1.5 μm using Doppler-free molecular lines,” Opt. Lett. 20, 572–574 (1995). V. Ahtee, M. Merimaa, and K. Nyholm, “Precision spectroscopy of acetylene transitions using an optical frequency synthesizer,” Opt. Lett. 34, 2619–2621 (2009). D. Gatti, R. Gotti, A. Gambetta, M. Belmonte, G. Galzerano, P. Laporta, and M. Marangoni, “Comb-locked Lamb-dip spectrometer,” Sci. Rep. 6, 27183 (2016). L. Santamaria, V. Di Sarno, I. Ricciardi, M. De Rosa, S. Mosca, G. Santambrogio, P. Maddaloni, and P. De Natale, “Low-temperature spectroscopy of the 12C2H2(ν1 + ν3) band in a helium buffer gas,” Astrophys. J. 801, 50 (2015). V. Di Sarno, P. De Natale, J. Tasseva, L. Santamaria, E. Cané, F. Tamassia, and P. Maddaloni, “Frequency-comb-assisted absolute calibration and linestrength of H12C13CH ro-vibrational transitions in the 2ν3 band,” J. Quantum Spectrosc. Radiat. Transfer 206, 31–35 (2018). A. A. Madej, A. J. Alcock, A. Czajkowski, J. E. Bernard, and S. Chepurov, “Accurate absolute reference frequencies from 1511 to 1545 nm of the ν1 + ν3 band of 12C2H2 determined with laser frequency comb interval measurements,” J. Opt. Soc. Am. B 23, 2200–2208 (2006). L.-G. Tao, T.-P. Hua, Y. R. Sun, J. Wang, A.-W. Liu, and S.-M. Hu, “Frequency metrology of the acetylene lines near 789 nm from Lamb-dip measurements,” J. Quantum Spectrosc. Radiat. Transfer 210, 111–115 (2018). T.-P. Hua, Y. R. Sun, J. Wang, C.-L. Hu, L.-G. Tao, A.-W. Liu, and S.-M. Hu, “Cavity-enhanced saturation spectroscopy of molecules with sub-kHz accuracy,” Chin. J. Chem. Phys. 32, 1 (2019). W. Ma, A. Foltynowicz, and O. Axner, “Theoretical description of Doppler-broadened noise-immune cavity-enhanced optical heterodyne molecular spectroscopy under optically saturated conditions,” J. Opt. Soc. Am. B 25, 1144–1155 (2008). 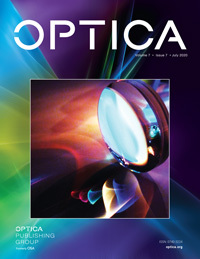 C. Hill, I. E. Gordon, R. V. Kochanov, L. Barrett, J. S. Wilzewski, and L. S. Rothman, “HITRAN-online: an online interface and the flexible representation of spectroscopic data in the HITRAN database, ( http://hitran.org/ ),” J. Quantum Spectrosc. Radiat. Transfer 177, 4 (2016). K. Shimoda, ed., High-Resolution Laser Spectroscopy (Springer-Verlag, 1976). A. Czajkowski, A. A. Madej, and P. Dubé, “Development and study of a 1.5 μm optical frequency standard referenced to the P(16) saturated absorption line in the ν1 + ν3 overtone band of 12C2H2,” Opt. Commun. 234, 259–268 (2004). A. L. Stancik and E. B. Brauns, “A simple asymmetric lineshape for fitting infrared absorption spectra,” Vib. Spectrosc. 47, 66–69 (2008). A. Cygan, D. Lisak, P. Maslowski, K. Bielska, S. Wojtewicz, J. Domyslawska, R. S. Trawinski, R. Ciurylo, H. Abe, and J. T. Hodges, “Pound-Drever-Hall-locked, frequency-stabilized cavity ring-down spectrometer,” Rev. Sci. Instrum. 82, 063107 (2011). G. Giusfredi, I. Galli, D. Mazzotti, P. Cancio, and P. De Natale, “Theory of saturated-absorption cavity ring-down: radiocarbon dioxide detection, a case study,” J. Opt. Soc. Am. B 32, 2223–2237 (2015). I. Galli, S. Bartalini, R. Ballerini, M. Barucci, P. Cancio, M. De Pas, G. Giusfredi, D. Mazzotti, N. Akikusa, and P. De Natale, “Spectroscopic detection of radiocarbon dioxide at parts-per-quadrillion sensitivity,” Optica 3, 385–388 (2016). S. Reuter, J. S. Sousa, G. D. Stancu, and J.-P. H. van Helden, “Review on VUV to MIR absorption spectroscopy of atmospheric pressure plasma jets,” Plasma Sources Sci. Technol. 24, 054001 (2015). P. S. Barklem and R. Collet, “Partition functions and equilibrium constants for diatomic molecules and atoms of astrophysical interest,” Astron. Astrophys. 588, A96 (2016). A. S. Burrows, “Spectra as windows into exoplanet atmospheres,” Proc. Natl. Acad. Sci. USA 111, 12601–12609 (2014). D. S. N. Parker, F. Zhang, Y. S. Kim, R. I. Kaiser, A. Landera, V. V. Kislov, A. M. Mebel, and A. G. G. M. Tielens, “Low temperature formation of naphthalene and its role in the synthesis of PAHs (polycyclic aromatic hydrocarbons) in the interstellar medium,” Proc. Natl. Acad. Sci. USA 109, 53–58 (2012). B. Bernhardt, A. Ozawa, P. Jacquet, M. Jacquey, Y. Kobayashi, T. Udem, R. Holzwarth, G. Guelachvili, T. W. Hänsch, and N. Picqué, “Cavity-enhanced dual-comb spectroscopy,” Nat. Phys. 4, 55–57 (2009). J. Karhu, M. Vainio, M. Metsälä, and L. Halonen, “Frequency comb assisted two-photon vibrational spectroscopy,” Opt. Express 25, 4688–4699 (2017). P. Jansen, L. Semeria, L. Esteban Hofer, S. Scheidegger, J. A. Agner, H. Schmutz, and F. Merkt, “Precision spectroscopy in cold molecules: the lowest rotational interval of He2+ and metastable He2,” Phys. Rev. Lett. 115, 133202 (2015). L.-G. Tao, A.-W. Liu, K. Pachucki, J. Komasa, Y. R. Sun, J. Wang, and S.-M. Hu, “Toward a determination of the proton-electron mass ratio from the Lamb-dip measurement of HD,” Phys. Rev. Lett. 120, 153001(2018). S. K. Tokunaga, C. Stoeffler, F. Auguste, A. Shelkovnikov, C. Daussy, A. Amy-Klein, C. Chardonnet, and B. Darquié, “Probing weak force-induced parity violation by high-resolution mid-infrared molecular spectroscopy,” Mol. Phys. 111, 2363–2373 (2013). Fig. 1. Schematic layout (not to scale) of the experimental apparatus consisting of two main blocks: the BGC source and the OFCS-referenced probe laser. To keep the pressure inside the radiation shields below 10−7 mbar, the internal surface of the inner shield (roughly 1500 cm2) is covered with a layer of activated charcoal that, at cryogenic temperatures, acts as a pump (with a speed of a few thousands dm3/s ) for helium and non-guided molecules. The gas adsorbed by the charcoal is released during the warm-up of the cryogenic system and then pumped out of the vessel by a turbomolecular pump (not shown). Relevant dimensions of the enhancement cavity and the buffer cell are given in the inset. Fig. 2. Exploded sketch of the specially designed cavity mirror mount. Fig. 3. Doppler-limited spectrum of the (ν1+ν3) R(1) ro-vibrational transition of acetylene, obtained for Fmol=FHe=6 SCCM. Fitting with a Gaussian profile yields a temperature of (20±3) K for the C2H2 sample. To make the abscissa axis easy to read, rather than ν, the absolute frequency detuning ν−ν0 is reported, where ν0 is the center-frequency value previously measured in . Fig. 4. Lamb-dip line shape corresponding to the Doppler-limited spectrum of Fig. 3 (T≃20 K) with a saturation contrast around 8%. The spectral feature is the average over 30 single Lamb-dip acquisitions. Then, a Lorentzian fit (continuous line) is carried out to extract the line-center frequency and the FWHM. In the lower panel, fit residuals are also shown, from which a SNR≃30 is estimated for the Lamb-dip feature. Fig. 5. FWHM of the observed Lamb-dip spectra as a function of the C2H2 flux injected into the BGC cell (for a given He flux, FHe=8 SCCM). A linear fit to the data points extracts the self-collisional broadening coefficient: γself=(60±20) kHz/SCCM. As mentioned in the text, the corresponding self-collisional shift coefficient δself could not be significantly estimated (by the slope of a linear fit to the ν0 values against Fmol): δself=(−4±5) kHz/SCCM. Fig. 6. FWHM of the observed Lamb-dip spectra versus the He flux injected into the BGC cell (for a given C2H2 flux, Fmol=6 SCCM). A linear fit to the data points yields the foreign collisional broadening coefficient: γforeign=(66±9) kHz/SCCM. Also, in this case, the corresponding foreign collisional shift coefficient δforeign could not be estimated with sufficient accuracy: δforeign=(1±3) kHz/SCCM.